I’m stepping on a thousand cigarette butts on the way in, it’s not dark and smokey in the Cactus Club anymore, but still a little dank on the music side. Someone on staff managed to keep a VHS tape of an old Arsenio Hall episode featuring N.W.A from being magnetized after all these years and its playing on wall-mounted t.v. monitors, nice. Among the sippers, a sturdily built dude stands-out reviving shades of Trugoy during the Daisy Age crossed with Starski. If any one has a license Busdriver does, his pops wrote Krush Groove. Plus looks can be deceiving, Busdriver’s styles on the mic don’t need image to generate uniqueness. A musical dervish, Busdriver worked whatever electronic synth-instrument he was hovered over like a steering wheel to jerk the crowd through audio turns, unbelievably speeding up a Scott Joplin riff and ripping it on Me Time and, on Imaginary Places, annihilating a track that sounded familiar to the classic Beasties‘ Floop Loops sample, right after swinging out of a dub Reggae toast. Busdriver himself is an unsung classic, notably contributing to the Aceyalone-led Project Blowed, way back then, and completed a better know collaboration with Daedalus, worth checking out even if you’re behind the indie-hop scene. Busdriver did it up setting the Cactus Club stage for Astronautalis, an indie-fun-twirl group that mashes up the music spectrum really well, while highlighting how formulated mainstream hip-hop as a sound has become. Digital music producer Jel was scheduled on the undercard, didn’t her him live, however fluid, harmonic, ambient beats deserve a mention anyway. Milwaukee got a real treat before Busdriver and Astronautalis make their way to SXSW. Busdriver‘s latest album Beaus$Eros dropped February 21st on Fake Four [records], the sample track here does well to call out dutiful social exclusion. Last year was no slouch, and will be hard to top. Black Sabbath and Public Enemy played simultaneously last year on the side stages, still hard to fathom. This post originally appeared on the predecessor to the Local Trolley e-zine, Sane Artworks Blog. Summerfest is the biggest thing going, in the world they say. 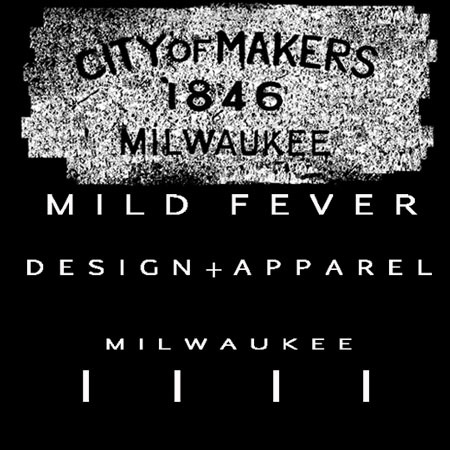 The Milwaukee masses come together and do what they can to forget about the winter that past and the one that’s coming. I covered the PE concerts as a guest writer on MKE Wired. Finally I’m back in the sphere… follow the link Public Enemy Wrap: Not out of the cross hairs yet. I’m bleacher surfing and tunneling through the aisles like a mere cat trying to get closer to the front of the stage. I pop up on an open bleacher and this faux hip-hop teapot statured dude with a chinstrap beard is jibber jabbering something about “if you get up, you gotta get down”. I tell this dude “Bro, you been listening to too much 88-9.” The look on my face is saying, fool don’t you know we at a Public Enemy concert and you can get a smack for that. For pushing twenty-five years in the art of boom-bap, Chuck D, a second generation patron rebel of rap, and trusty entourage lead by the antic laden Flavor Flav, still can rock a crowd at any coordinate on the world map. From the looks of the turn out Friday night, you would have thought Drake had just parachuted on to the US Cellular arena stage. Stuck in the main walk way of the festival grounds, I peer over frocky banged girls, spike mohawk haired guys and nodd with old school players, enjoying a deep remix groove version of Black Steel in the Hour of Chaos, simultaneously urging my Madisonian friends to venture into the fray. Just then PE broke into Anti N**GA Machine. Exhorting every lyric that still comes to my mind, the abrupt fade into Burn Hollywood Burn confirmed the set recapped, in sequence, several tracks from each of PE’s albums, which suited the tracks from PE’s third album Fear of a Black Planet particularly well. By the time, I excavate my way into the center stage area with surprising ease, Power to the People rhythmically churns and I double back to the outskirts of the masses, to find my feeble Madisonians had already sought refuge from the exuberance. I grab college co-eds at will that chirp about trying to get a better look at Flav, in the spirit of Harriet Tubman, and guide them through the canals of seating to a better vantage point. The vintage hits Bring the Noise, Terminator X to the Edge of Panic, Can’t Trust It and Fight the Power played, but the show’s highlight was Flavor Flav’s rendition of I Can’t Do Nuttin’ For Ya Man, which I recited in time, miming the patented Flav dance, only to notice those around looking at me like I had the holy ghost and was speaking in tongues. I was truly possessed and so was everybody else. Possessed enough to chant “f*nk separatism” and “f*ck racism” on Flav’s cue after he improved a verse of Sly Stone’s Thank You For Letting Me Be Myself Again. Some visual irony could be witnessed if you scanned the audience. For being in Milwaukee that showed how good of sports we are. It wasn’t the headlining flashing red X-shaped DJ table show of the glory days, noticeably absent was Terminator X who left the group in ‘99, but well worthy of a Friday night. The sea of people was probably more of a testament to Flavor Flav’s new found pop appeal than their love for the PE message, but an overall worthy effort on the part of Milwaukee’s party goers to do justice to the music legends.